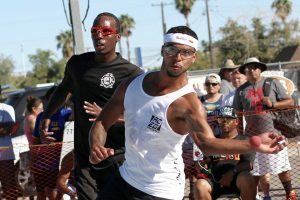 Brooklyn, NY, WPH Press, 6/24/18- The USHA proudly hosted the 11th annual WallBall National Championships at Coney Island Handball Courts in Brooklyn, NY on the fourth weekend in June. The game’s best WallBall stars gathered at the famed Coney Island Handball Courts to play for the prestigious WallBall National Championship, including Men’s WallBall #1 Timbo Gonzalez, Women’s WallBall #1 Danielle Daskalakis, rising women’s star Jessenia Garate, WPH Florida Cup singles champions Hector Velez and Carlin Rosa, multiple-time pro national champion Willie Polanco, 2012 World WallBall champion Tywan Cook, Court Sports legend Robert Sostre, Kadeem Bush, Andres Calle, and many more. 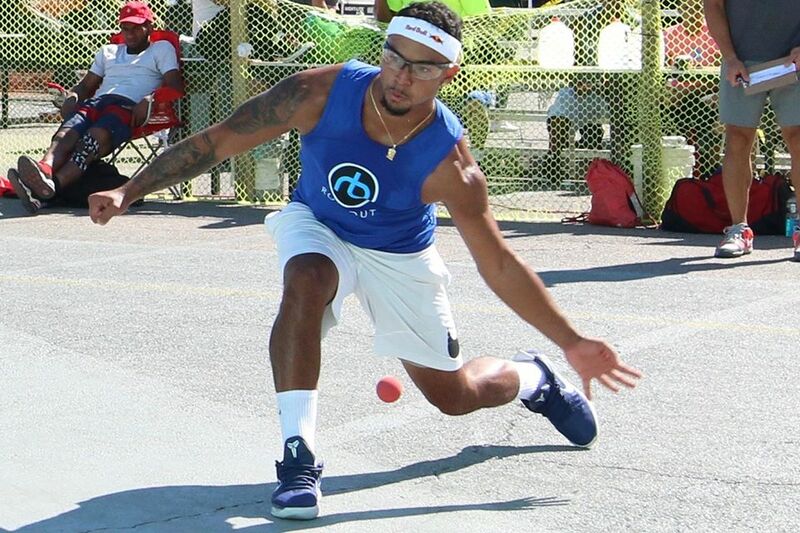 Timbo Gonzalez played steady handball en route to the final, dispatching Carlos Pena and Iggy Accardi to reach his second major singles final of the season. Kadeem Bush was impressive in the bottom bracket, dominating Migz Mendez in the quarterfinals and ousting Tywan Cook in an outstanding match to reach the final. Gonzalez was in control in the one-game final, never allowing Bush to demonstrate his highlight reel skills. 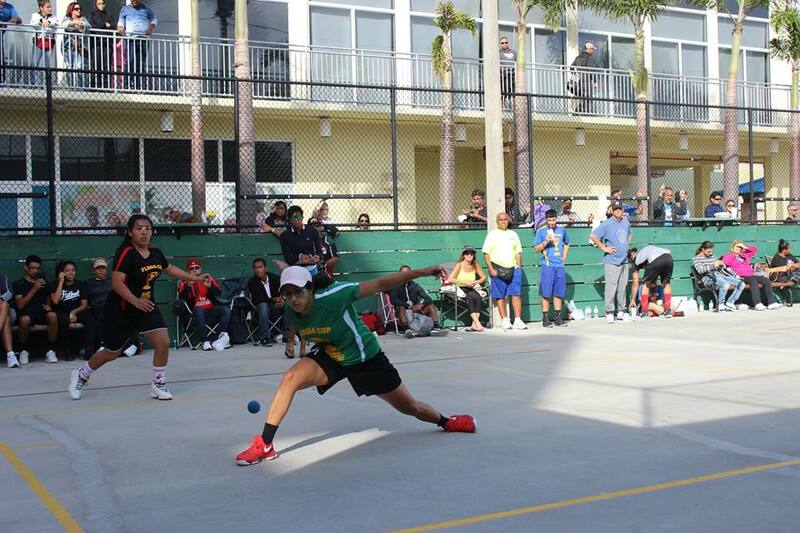 Gonzalez built a 19-4 lead in the one-game to 25 final and held off a late Bush rally to win the title. 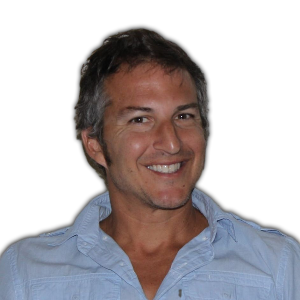 “I was blowing him out and my shoulder started hurting so he was able to sneak points in,” stated Gonzalez. 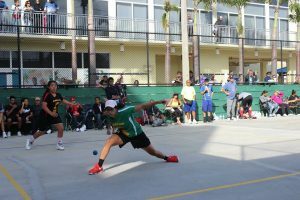 Top-seeded Danielle Daskalakis advanced to the Women’s Final by defeating Crystal Ruiz in the upper bracket semifinals, while Jessenia Garate met Daskalakis in the final by defeating Lina Ariza in the bottom bracket semifinals. The final was a rematch of the 2018 WPH/Castle Hill Florida Cup, with Daskalakis edging Garate in a thriller. Daskalakis and Garate traded points from 18-all to 20-all before Daskalakis closed the match with five consecutive points, adding another championship to her spectacular resume.